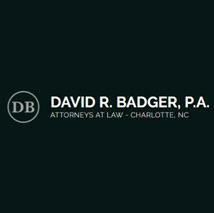 Our founder, David R. Badger, is one of the region's most highly respected bankruptcy attorneys. He is board-certified in consumer and business bankruptcy both nationally and by the North Carolina State Bar Board of Legal Specialization. Clients who face financial struggles, whether the result of personal or professional difficulties, can turn to our firm for clear counsel and committed representation. Our lawyer will take the time to determine the best option for each client's individual situation and remain at the client's side throughout the legal process. We understand that asking for help can be difficult, but walking through the door should be the most difficult part of the process. When you enter our office, you will be greeted by our attorney, staff and our friendly office cat, Target. By working together, we can develop a plan for resolving your issues in a timely, efficient manner. We hope that when you walk out the door, you feel relieved and confident knowing you are in good hands. We invite you to learn more about our firm's services and to schedule a consultation by reaching out to us at our office in the Atherton Lofts in Charlotte's historic South End.